Dr. Clay A. Henry is an Author and Blogger (http://www.clayahenry.org) who seeks to raise awareness of humanity’s spiritual nature. In his book, Your Health in a World of Conflict, Clay raises the provocative question of whether it is possible, or even reasonable, to relate one’s health to the tensions of past, ongoing and anticipated conflict. This view is largely based on introspection of his own well-being, especially those aspects of healthiness that seem to be unrelated to bodily fitness, together with his extensive literary research of distinguished writers who, in a variety of ways, advocate the integral role intangible elements play in a person’s overall health and well-being. Stimulated by these authors’ views, as well as thoughts expressed by many other theological and philosophical notables, Dr. Henry combined their insights with his own thoughts in the writing of his first book; Self Exposed (Winepress Publisher, 2010), Your Health in a World of Conflict (Redemption Press, 2014), and Beyond Wondering about Murder from a Judeo-Christian Perspective (Xulon Press, 2018). From his research and personal understandings, Dr. Henry became increasingly mindful of the many parallels that exist between the inner core makeup of individuals and that of their physical health. Dr. Henry earned a PhD in Nutritional Biochemistry and Metabolism from the Massachusetts Institute of Technology in 1968. 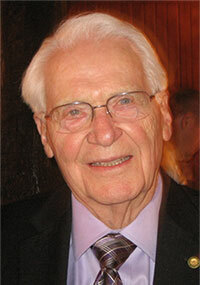 Earlier he received a DDS in 1960 and entered into the practice of dentistry. Dr. Henry continued to advance his professional career as a teacher, professor and researcher in the biological sciences at his alma mater, Baylor College of Dentistry. Always a man of strong conviction, Dr. Henry is a retired colonel having honorably served in the U.S. Army for over 20 years, spending his last tour of duty oversees during the Desert Storm war. Dr. Henry is a resident of Rockwall, Texas, where he and his wife Rose Marie are members of an Anglican Church . They have three daughters, four grandchildren and two great-grandchildren. Mainly using the Blog feature of the website, www.clayahenry.org, Clay’s intentions are to seek and foster relationships with educators, writers and those who are “unafraid to expand their understanding of opposing value systems, such as are treasured in secularism and those of religious faith and worship.” He hopes his three books will ignite real discussion and he looks forward to sharing his knowledge and learning with others. Bristol Who’s Who VIP Member Clay A. Henry, DDS, PhD can be found on the Who’s Who Directory.